The first quarter of 2016 had me traveling around several places in the Philippines. My itinerary brought me to Metro Manila, Boracay Island, Malapascua Island, Bohol, and the northernmost Cebu town of Daanbantayan. Here is my diary of the first part of 2016. In late January 2016, I went to Metro Manila with my brother Nathan for our US Immigrant Visa interview scheduled for 1 February 2016. We had to come at least a week earlier for our medical exam at the St. Luke's Extension Clinic as part of the requirements. We had a week to roam around Metro Manila in between the medical examinations, which lasted two (2) long days, and the actual interview. But we never really explored much of the metropolis except for some occasional forays into Old Manila and the Makati-Taguig area. 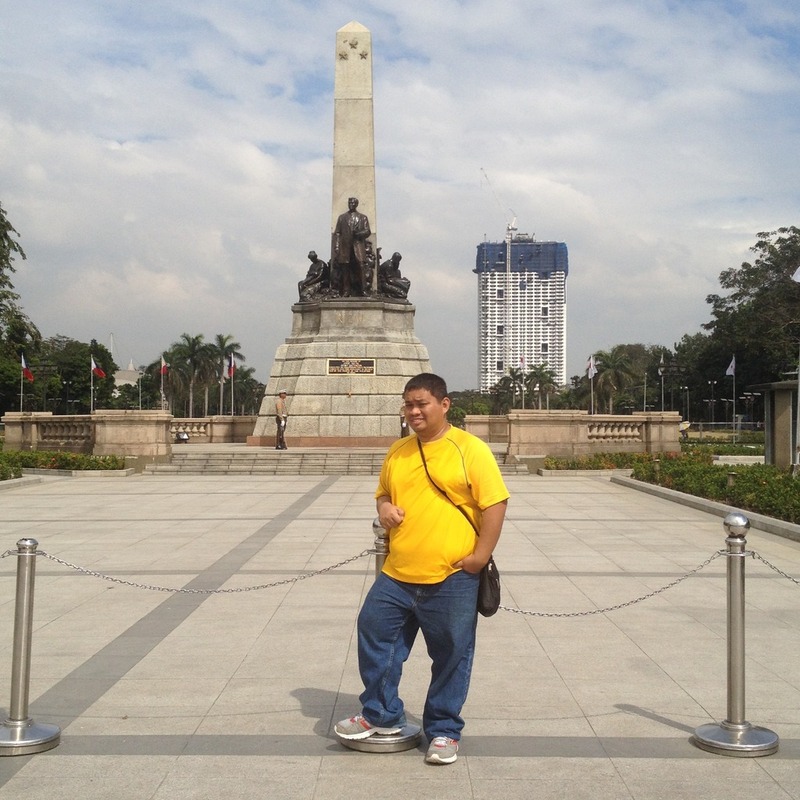 We did have some interesting experiences at Luneta Park, places inside the Intramuros, trips to the Mall of Asia, had one beer too many in Taguig, and dining in some classic Manila restaurants. We also had our fair share of Manila's transport woes such as riding a jampacked Light Rail Transit line 1 coach at 10 o'clock in the morning, scheming cab drivers, the and the notorious Metro Manila traffic. We left the day after our interview en route to world-renowned Boracay Island. To celebrate the grant of our U.S. Immigration Visa, we went to world-famous Boracay Island the day after we got our visa. We stayed for two (2) nights in the island and made our bed at the Arwana Hotel on Boat Station 3. 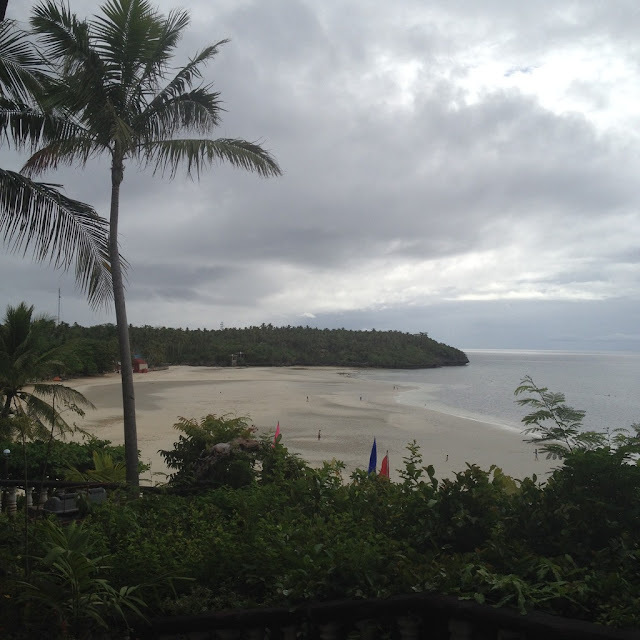 On the second day of our stay, we walked the whole stretch of beach from Station 3 to Diniwid Beach. That long walk was the highlight of our Boracay stay as we stayed away from the ridiculously expensive usual tourist activities. That morning walk had us appreciating Boracay's sand artists and the amazing things they can do with the sand on the beach, marvel at the odd Willy's rock formation in the middle of that long stretch of beach, tried our haggling skills at D'Mall, and of course enjoyed a quick bath on Diniwid Beach. Another highlight of our Boracay vacation was trying to find the restaurants that were not only cheap but offered best value for our money. 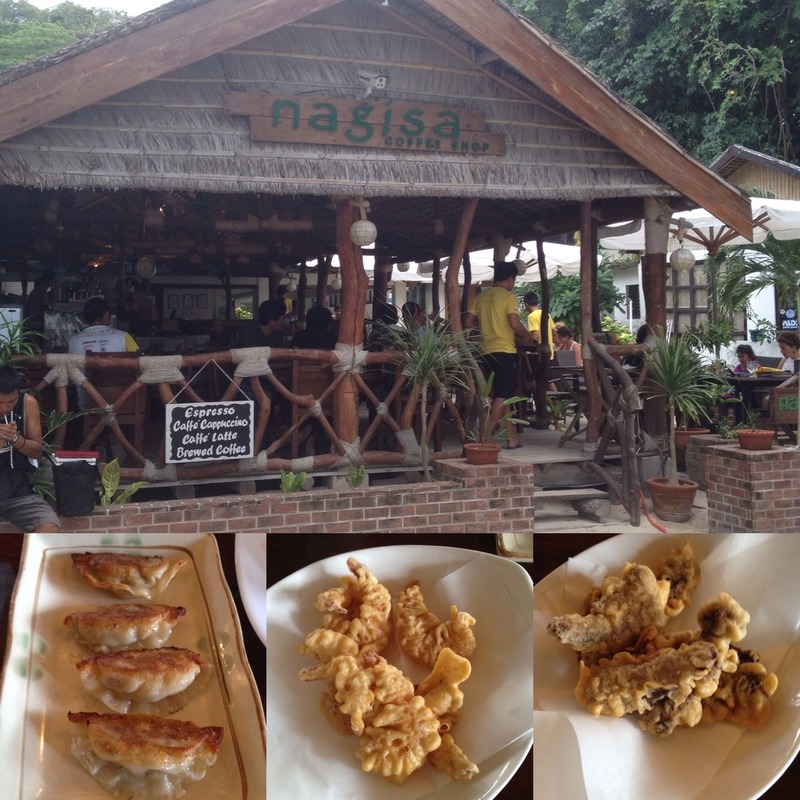 We found quite a few such as Nagisa Coffee Shop, Villa de Oro, La Crepe, and Café La Carmela. On the first week of February 2016, I took on a trip to Malapascua Island through Divelink Cebu who was generous enough to let us try their Barely Wet Weekend Scuba Diving Package, a three day discovery scuba diving package for scuba diving virgins. I tagged along with Exotic Philippines blogger Gay Aida Dumaguing and our party was joined by two (2) French ladies on internship in Cebu, a computer engineer from San Francisco, California, USA and another guy who works with computers in Cebu. 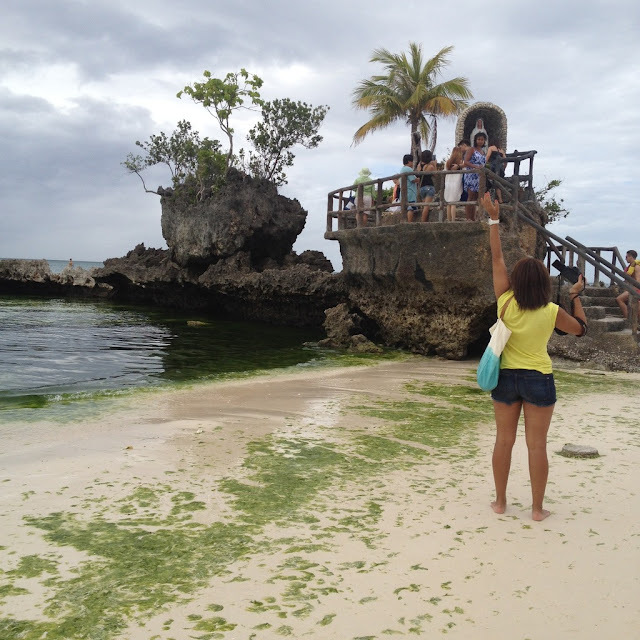 The trip was hosted by Divelink Cebu resident I.T. Manager Roger Casalinas. The Barely Wet Weekend package is a teaser for those who are curious about scuba diving but never had the chance to try it. One can avail of the package for as low as PhP 4,650 (for a group of 6) and the amount already covers one (1) discovery scuba diving session where you learn all the basics, two (2) fun dives, and a 2-night stay at the Thresher Shack dormitory on the Divelink Cebu property at Logon Beach. Of the five (5) newbies who did scuba diving for the first time, I lagged behind. I am generally uncomfortable around water. I tried to make myself comfortable when we first entered the water but I eventually got uncomfortable fast with all the new environment and all the scuba gear on. While everyone was having joint lessons with dive instructor Dennis, I had to go one-on-one with dive master on training Emilia, who was quite very patient for an American lady. Everyone finished all the skills training on the discovery scuba diving session except me who could only finish the part until mask clearing. That means I only got through basic sign language for divers, breathing through the regulator and mask clearing and unlike the others, I wasn't able to do regulator recovery, and breathing on a dive buddy's regulator. The day after, Dennis cleared me to go for the fun dive along with the others. I got Seth Bacalso as my dive buddy this time, a Cebuano like me whose patience is also admirable. We tried to refresh on the basic scuba diving skills before we were to dive deeper specially the mask clearing part. I could not perfect the skill and after sometime Seth gave up and I resigned on the possibility of diving deeper at the time. Maybe next time when I'm more comfortable around water and built up on my swimming skills. All my four (4) buddies during that trip who were scuba diving newbies earned their discovery scuba diving (DSD) certificate. It was well-deserved. 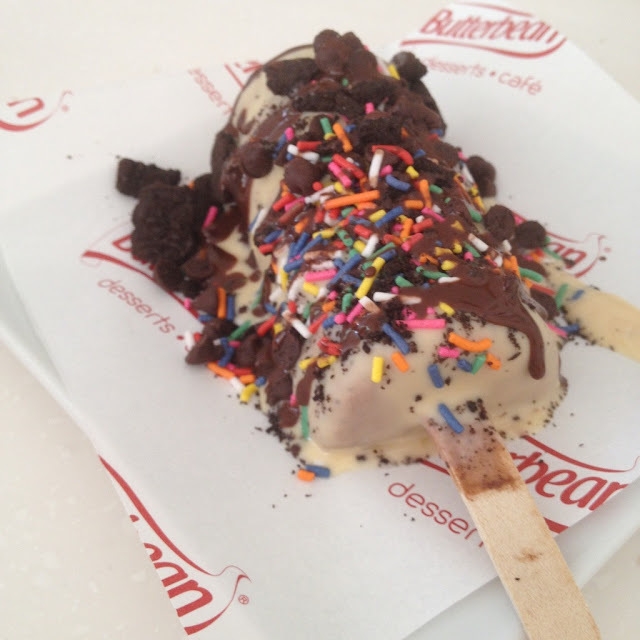 I did not earn one and I had no qualms as I also did not complete any of the dives. 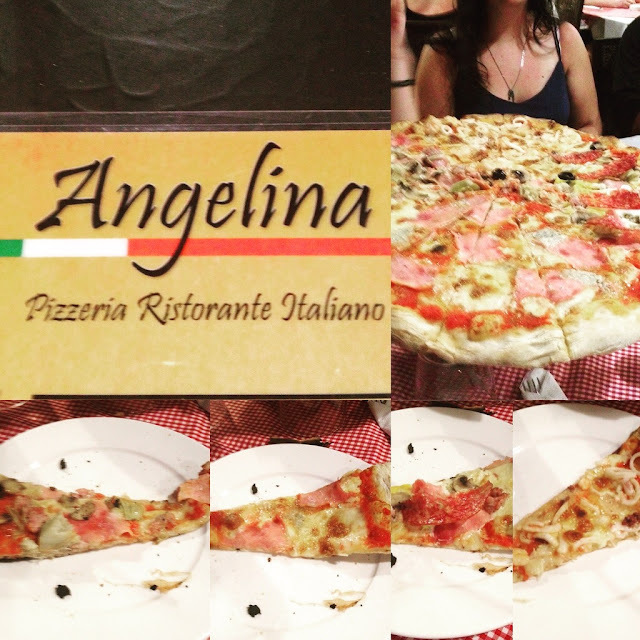 We also ate at Angelina Pizzeria as well as Gingging's Restaurant upon the recommendations of our hosts. On the 27th, I left for Camotes Island to facilitate a team building program for 26 employees of N-Pax Cebu Corporation, a software development company that is a subsidiary of Ng Khai Corporation. I got some able help from Leslie Manoriña who helped me implement the team building activities which were held at Santiago Bay Garden Resort in the town of San Francisco. The first day of the program had us doing activities in a function hall within the resort. On the second day, we went down to the island's famous White Beach with activities involving participants playing with sand and creating sand art. The highlight of this trip was seeing dolphins playing in the wild in the middle of the boat trips between Camotes and mainland Cebu. Right after my return from Camotes Island, I ate at SM City Cebu at the North Reclamation Area before proceeding to Pier 1 to board a boat bound for Tagbilaran City. I was to join my fellow bloggers from the Cebu Blogging Community (CBC) for the Seas the Day familiarization trip put together by several tourism-related establishments in Bohol such as the Empty Nest Homestay, Bohol Paddlers' Association, Abi's Grill, Estrella Coffee Shop, Sun Café, Dumaluan Beach Resort, Gustus Restaurant, and Painitang Bol-anon. While the rest of the bloggers took the late afternoon or early evening fast craft for Tagbilaran City, I took the slow boat trip aboard Lite Ferries vessel M/V Lite Ferry 10 which left Cebu at 10 p.m. of February 28th and arrived in Tagbilaran City at 3 a.m. on February 29th, 2016. For safety and security reasons, I did not immediately disembark the vessel upon arrival as it was still dawn and dark. Also, I didn't want to show up too early at the vacation home where they were staying as they might still be asleep. I also did not know the exact location of the house. With the help of Google Maps and instructions from some of my colleagues, I arrived at the place in the Mansasa district of Tagbilaran City at around half an hour past six in the morning. A week after joining the #CBCTravelNation Seas The Day Bohol Tour, I was again back in Bohol. This time for a business trip to facilitate the team building program of the Resident Physicians Organization of the Jose R. Reyes Medical Center in Manila. I arrived at Tagbilaran City very early in the morning of 11th March, 3 a.m. to be exact. I waited till about 6:30 a.m. before I disembarked from the vessel. I rented a motorbike near the port which served as my service vehicle. Since the group arrived past lunchtime, I spent the whole morning enjoying the cool and clear waters off Dumaluan Beach Resort 1. 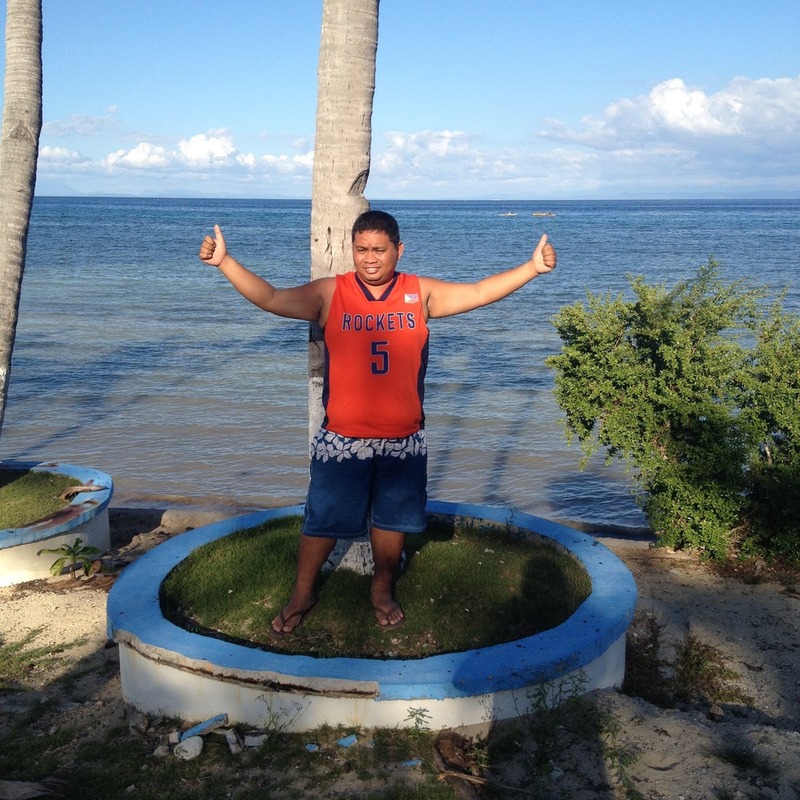 The team building program started at mid-afternoon and lasted for about three (3) hours at the beachfront area of the Dumaluan Beach Resort 2 where the doctors were billeted. 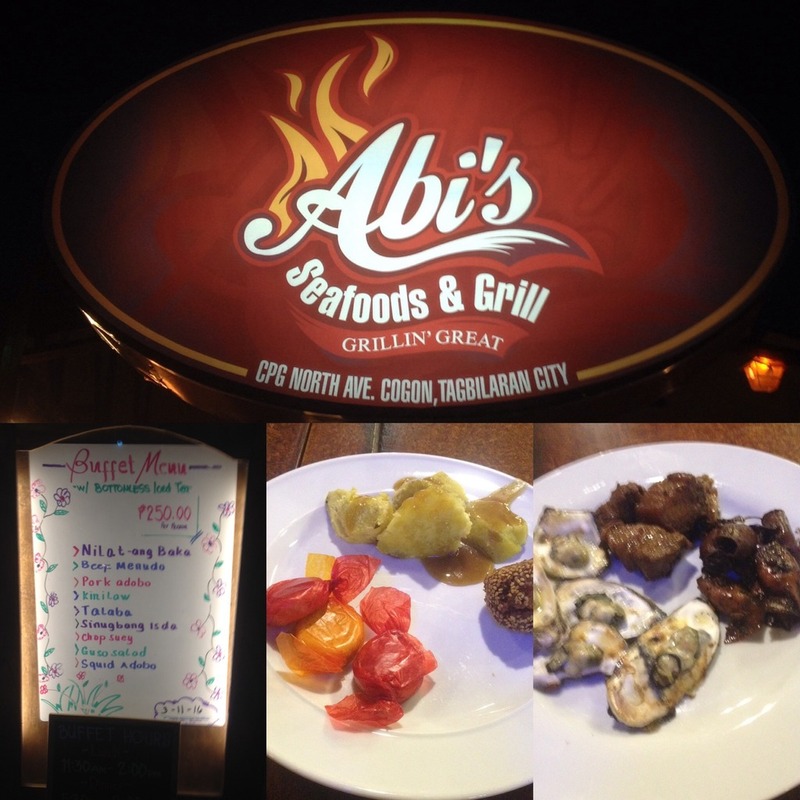 I went back to Tagbilaran City after the training session and had a buffet dinner at Abi's Seafood and Grill along C. P. Garcia North Avenue in barangay Cogon. I met a minor accident with the motorbike just as I was about to leave for the port and I broke the right side mirror so I had to pay extra for it. Thank goodness I got away with just minor bruises. And as if I wasn't unfortunate enough, the Cebu-bound ferry at Tagbilaran port was already fully-booked when I got there. So I had to ride a van to the town of Tubigon to catch a Cebu-bound ferry there. Lucky enough, the ferry departed for Cebu just a few minutes after I boarded it. 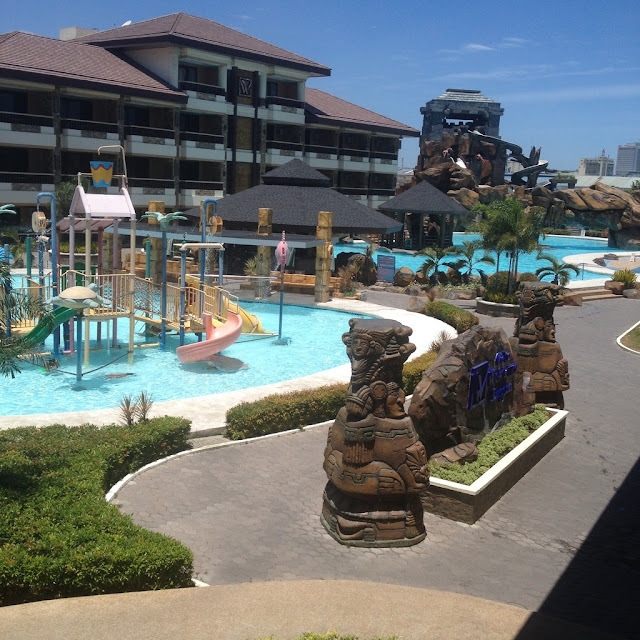 After a few years, I returned to Daanbantayan with my buddy Nathaniel to visit Virgin Beach Resort, a quaint and family-oriented resort in the northernmost Cebu town. A few years back, I met Ron, the American owner of the resort who is happily married to a Filipina named Fe. This staycation in the resort provided me some much needed quiet time. It was a truly relaxing weekend. On our way back, we dropped by to have coffee and snacks at Skip's Beach Resort and Restaurant at Agujo, Daanbantayan. The resort was built by American Skip Ellsworth for his wife Belle. Skip was Bruce Lee's 3rd student in America. I was able to meet skip back in 2007. He died in 2008. From Skip's, we saw the outlines of the islands of Carnasa, Kinatarcan, Gato, Chocolate, Malapascua, Leyte, and Masbate and I dreamed of visiting some of those islands that I haven't been to yet. On 17 March 2016, I joined some unit heads, unit managers, and health benefit agents from Maxicare Cebu for the 2016 sales kickoff party at the Cebu Westown Lagoon at the North Reclamation Area in Mandaue City. While I'm based in Cebu City, I also make sure that I go around the Queen City of the South to do a food trip and to visit some places of interest such as heritage sites, natural attractions, parks, hotels, and resorts. Here are the places in Cebu City I was at during the first quarter of 2016. 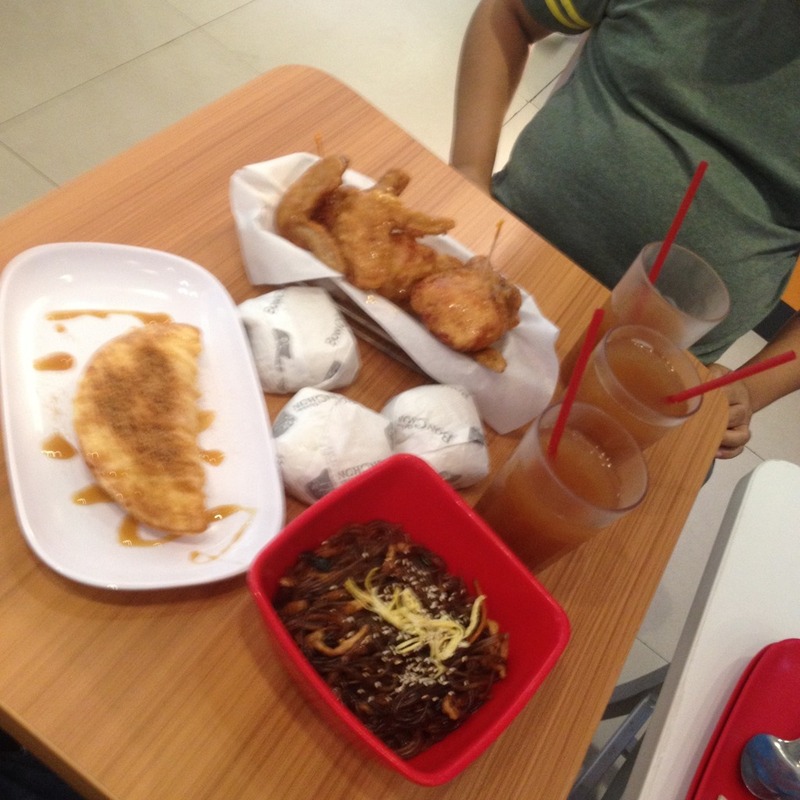 One day when we were grocery shopping at the SM Seaside City, we decided to drop by and dine in at Bonchon Chicken, a Korean chicken fast food chain which now has three branches in Cebu City. We ordered the all-Star chicken meal. My brother and I ate at Chopstop several times to try three of the four (4) flavors of their chops. We tried the Jack Daniels pork chops, chili pork chops, and barbecue pork chops. The one flavor we haven't tried is the country chops. We also tried their mug cake. After a few years, I finally get to again try the dishes at Joed's Lutong Hapon. Joed's has now relocated three (3) times and is now located along F. Cabahug Street in Kasambagan, Cebu City, Philippines. We ordered bento, the special maki, sukiyakidon, and ebi tempura. 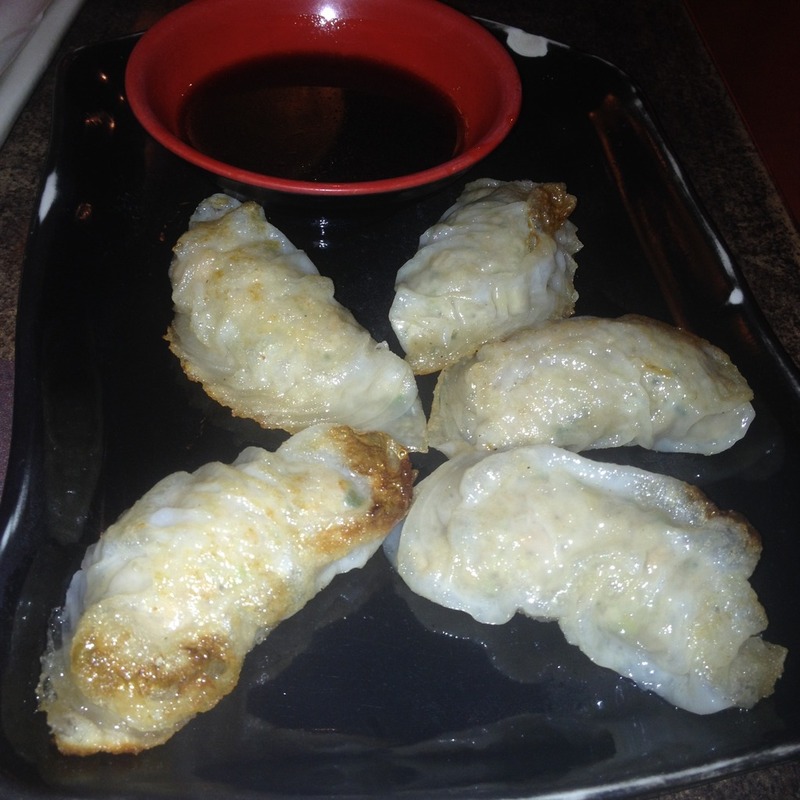 I am a big fan of Japanese cuisine. 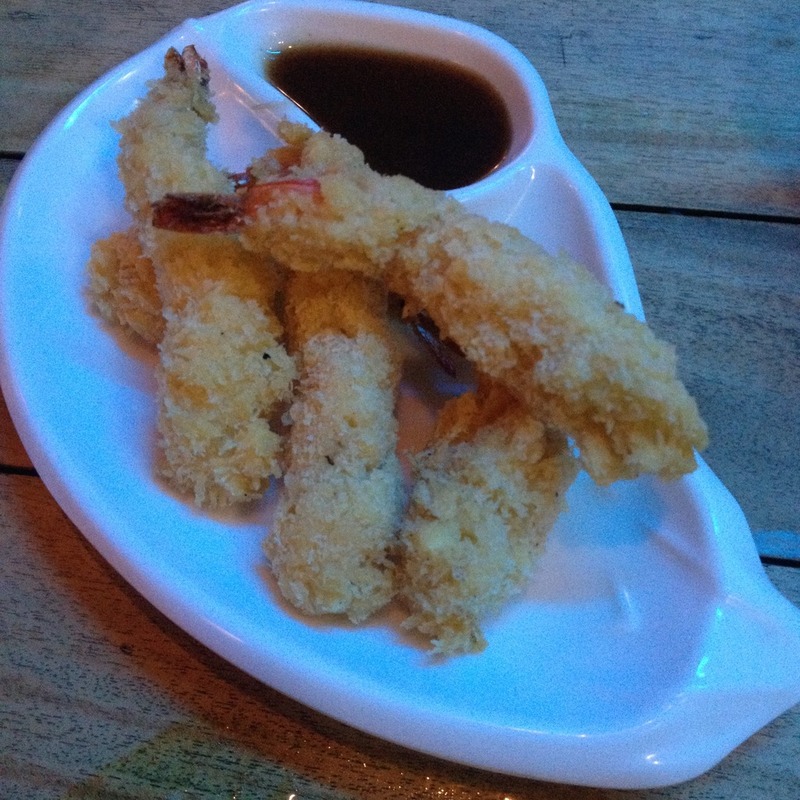 Another Japanese restaurant I dined at in the first quarter of 2016 was Tempura at the North Wing of SM City Cebu at the North Reclamation Area of Cebu City, Philippines. My meal consisted of katsudon, gyoza, and ebi tempura. I went with family to dine at Hukad Restaurant at the Terraces in Ayala Center Cebu. Hukad is a Filipino restaurant managed by the Golden Cowrie group. It has branches all around Visayas and Mindanao. 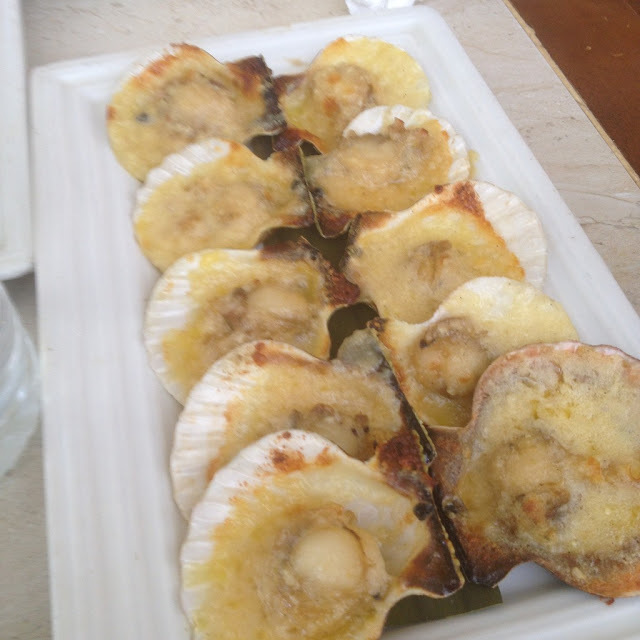 At Hukad, we enjoyed crispy pata, camaron rebosado, calamari, pancit habhab, tinolang tangigue, and baked scallops. Kogi-Q has become our favorite eat-all-you-can place. 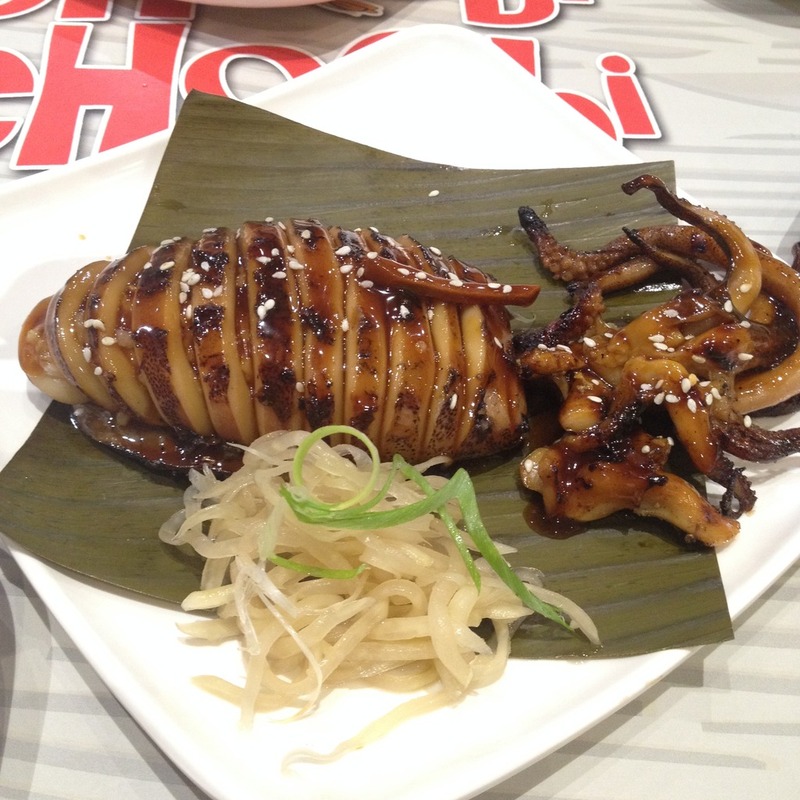 It is a Korean-inspired grill-all-you-can place that currently has branches at Parkmall and SM Seaside. Items for grilling are samgyeopsal pork, Chilean mussels, chicken, chicken liver, chicken gizzard, squid, hotdogs, squid balls, and, Cebu native chorizo. Unlimited shrimps and beef can be ordered for an additional fee. Burger King's is now our preference for burgers and chicken nuggets in Cebu. My favorite burgers at Burger King are their cheeseburger, the basic Whopper, the 4-cheese burger, and the 3-meat Whopper. 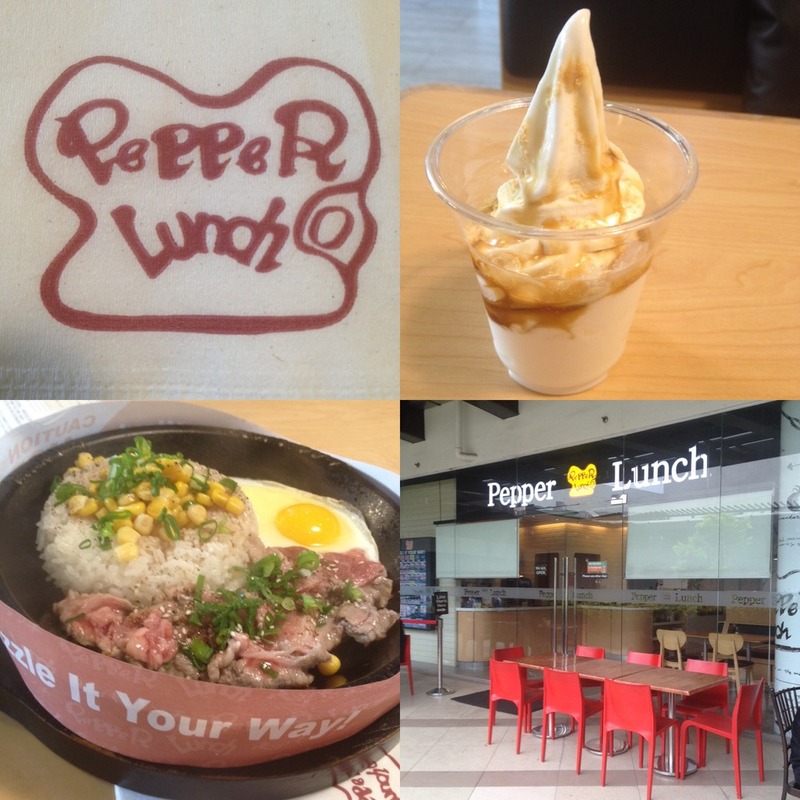 Just our of the blue one day, I dropped by to have late lunch at Pepper Lunch in the rooftop garden area of the Ayala Center Cebu. I tried their beef pepper rice and upgraded to have caramel ice cream. We enjoyed a 50% discount on shortcakes at Fujinoya when we visited the Japanese-inspired café late at night. 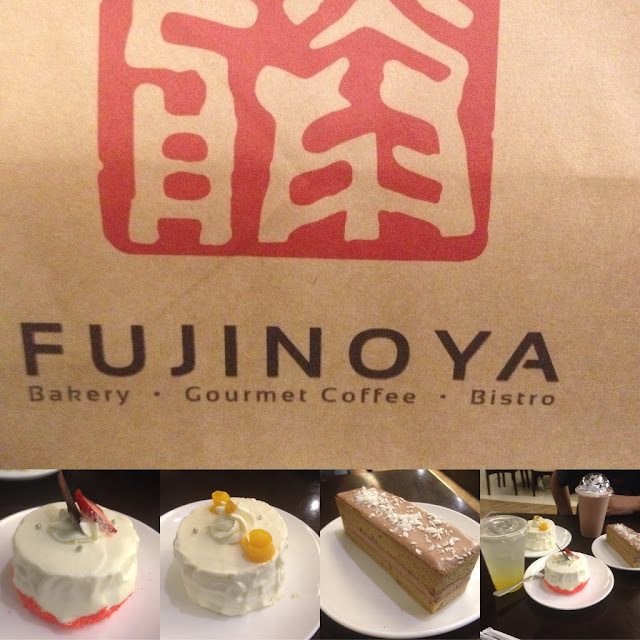 Specialty items at this café are Japanese cheesecake and the Fujinoya special chocolate cake. Catching up with an old college classmate, we met at Zubuchon at the Escario Central Mall in Kamputhaw, Cebu City, Philippines. 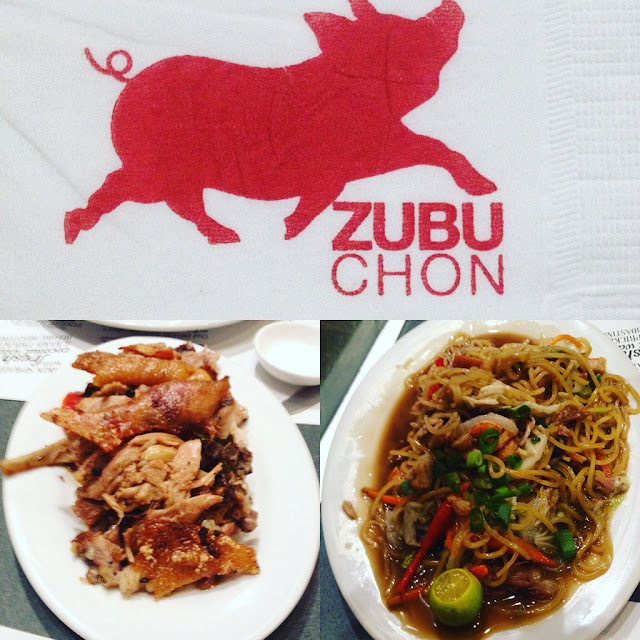 Toshe and I sampled their lechon and pancit canton. 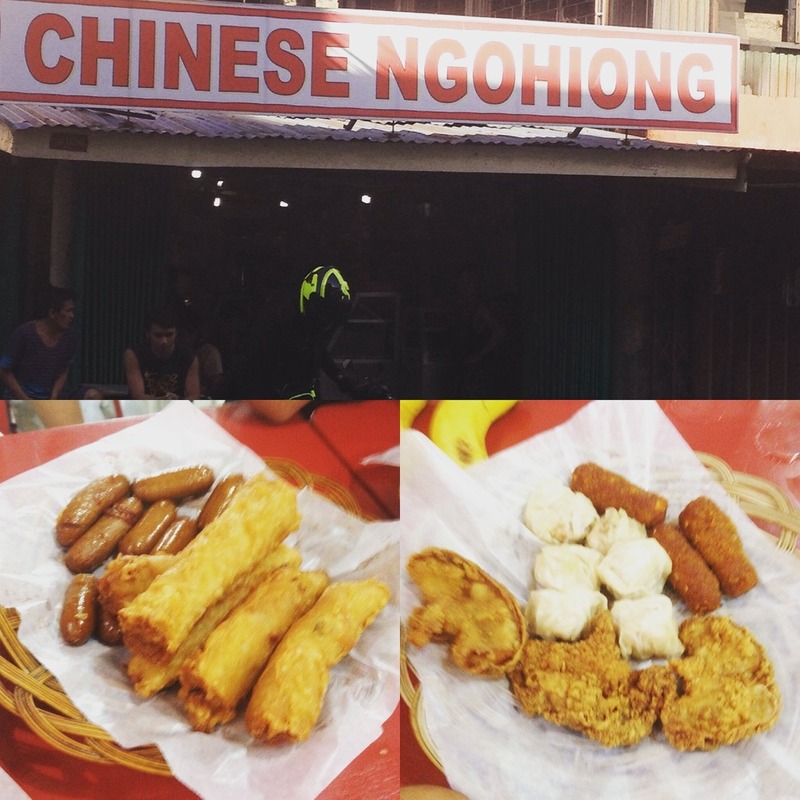 I still sometimes stick to old favorites and one of these places is a Chinese ngohiong joint that we frequented for lunch when we were still in college at the University of San Carlos main campus. Prior to the grand Sinulog celebration, I dined at Surfin' Ribs along Escario Street in Kamputhaw, Cebu City, Philippines. 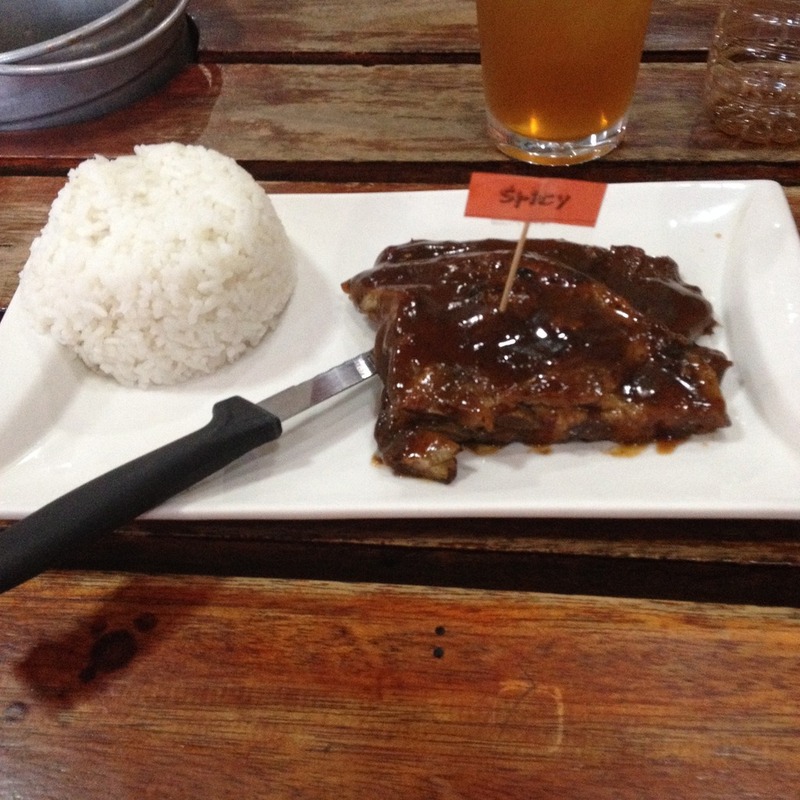 I was lucky enough to get hold of a discount coupon that would let me enjoy their specialty ribs at only PhP 99. I will always find a way to eat at an eat all you can place in Cebu and one of these places I ate at during the first quarter of 2016 is at Kublai Khans Mongolian Restaurant. I sampled some desserts and drinks at Butterbean Café after having dinner at a nearby place back in January, a few days before the Sinulog Festival. Along with some blogger friends, we sampled some of the dishes at Persian Avenue when they recently opened at Robinsons Galleria Cebu. My brother and I dined at Choobi Choobi Restaurant at the SM Seaside City. We had baked scallops, lechon kawali, shrimp tempura, and stuffed grilled squid for a sumptuous dinner at this place which is mainly a grill and seafoods place. I have eaten in four (4) Japanese restaurants in Cebu City for the first quarter of 2016: Joed's Lutong Hapon, Tempura, Fujinoya, and Tonkatsu by Terazawa. 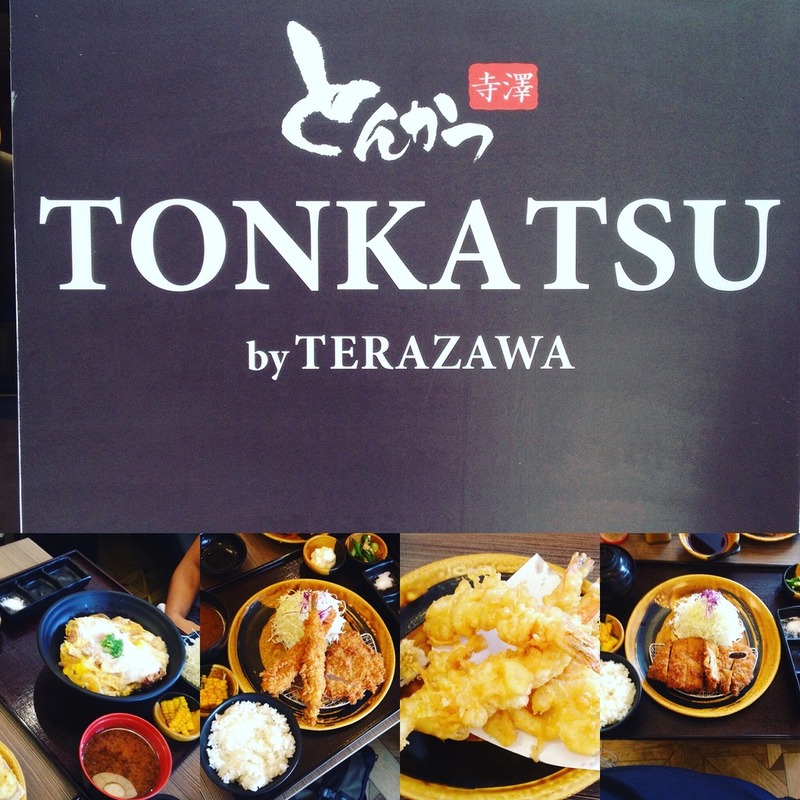 Tonkatsu by Terazawa is a Japanese Restaurant at The Terraces in Ayala Center Cebu that specializes in tonkatsu as it's name suggests. I went with Kalami Cebu blogger Carlo Andrew Olano for an interview with Patricia Noel at the Room for Dessert café located at the Sky Park of SM Seaside City Cebu. Patricia is a scion of the family that owns and runs the restaurants of the Casa Verde group. 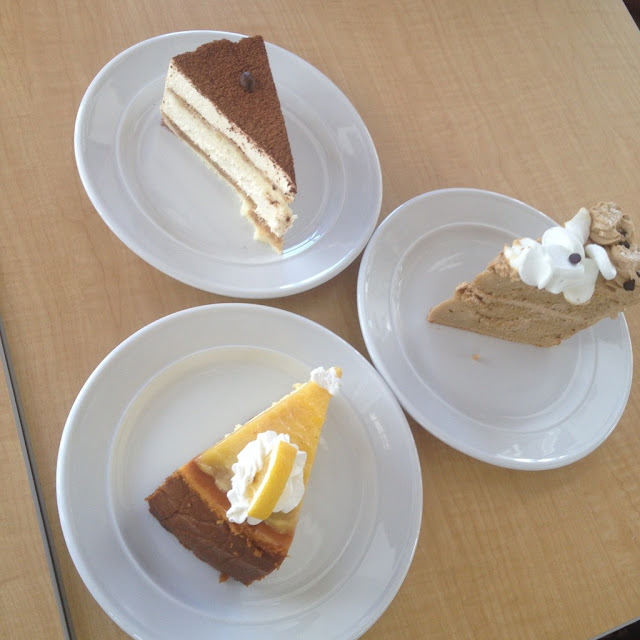 At Room for Dessert we sampled three (3) of their cakes. 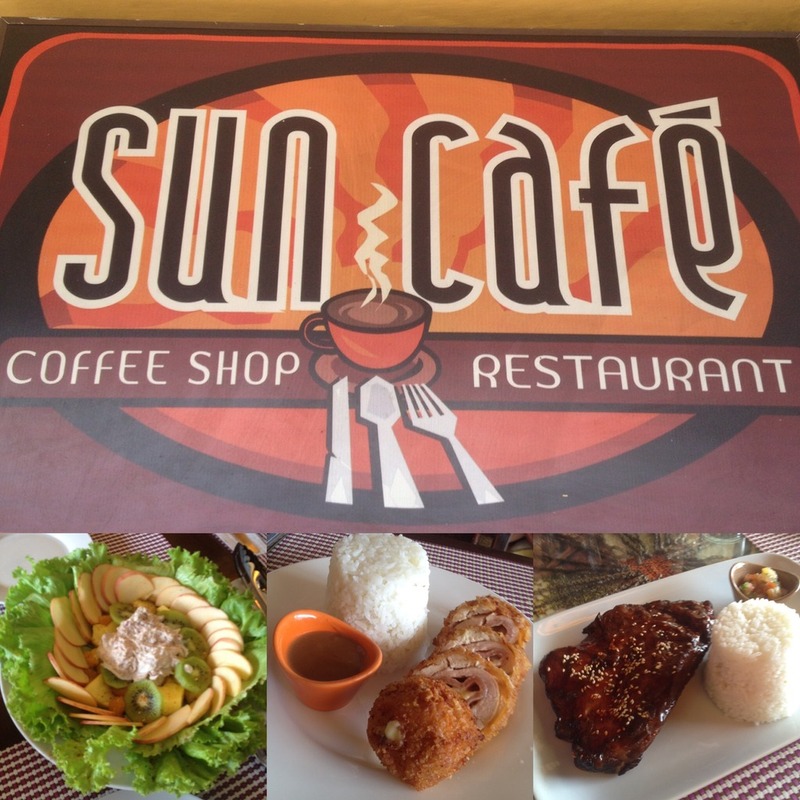 I got invited to sample the restaurant menu at Chix Savour along Salinas Drive in Lahug, Cebu City, Philippines. 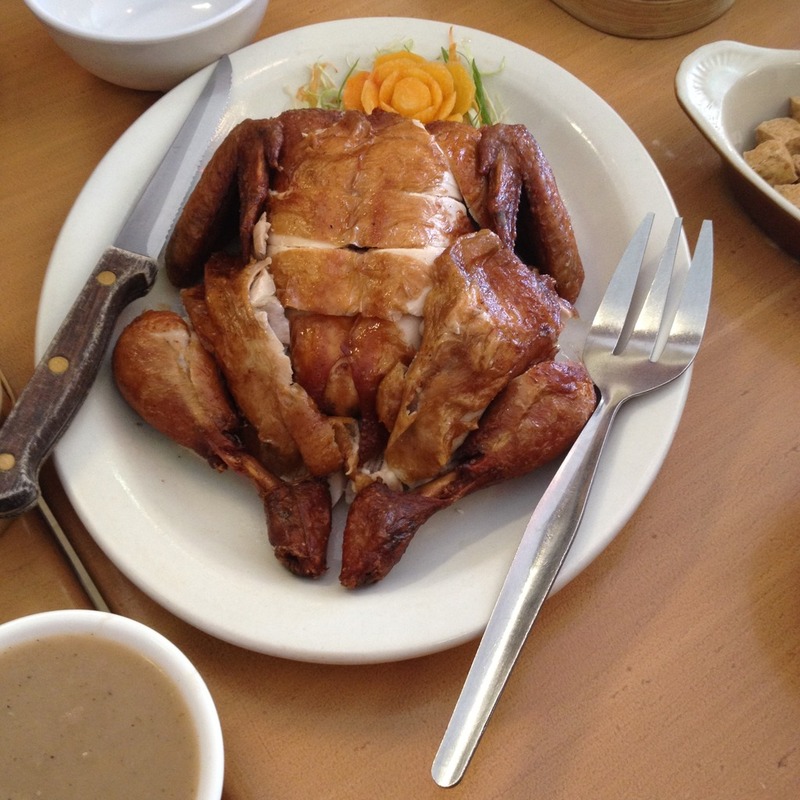 We had some whole fried chicken, tofu, congee, crispy kangkong, pork belly, and a lot more. 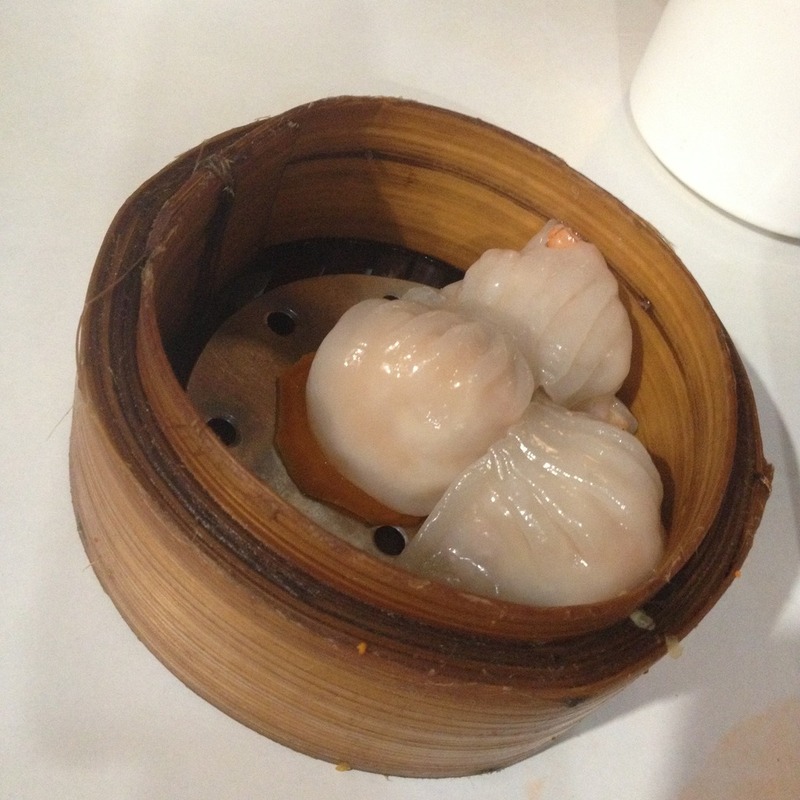 Harbour City Dimsum Restaurant is a personal favorite of mine when it comes to dimsum dishes. My favorite dishes at Harbour City are quail egg shaomai, shaomai, garlic pork, steamed hakao, sweet and sour pork, and the steamed fried rice. As a team development consultant of Cebu Teambuilding Services, I facilitated a team building program for Air Doctor Cebu at one of the open air function halls at Mountain View Nature Park in Sitio Garaje, barangay Busay, Cebu Philippines. This happened last 23 March 2016 and Clint Fuentes helped me facilitate the program for the organization whose specialization is installing air conditioning units.